Is your building experiencing water leak from the ceiling? Does the flat roof have holes? Are you not sure if you have properly maintained them for a long time? Maybe it’s high time to replace your flat roof. Flat roofing or low-slope roofing is widely used in commercial buildings because it is cost-effective, easy to maintain and space-efficient. Nowadays, flat roofing is also becoming popular in residential homes because of its modern look. For WPS Commercial, the average is $10.50 per square foot. For GLE, the average cost is $3 to $5 per square foot for a single-ply flat roof while $3.50 to $6.50 for built-up bituminous flat roof. For The Ross Group Development and Construction, the average built up roof cost is $2.50 to $5.00 per square foot while the single-ply roof is $3.00 to $4.00 per square foot. For All Roofing Solutions in Wilmington, Delaware, the average is is $16.50 to $27.5 per square foot. Labor to remove old roof and its disposal. All materials to replace the flat roof. Labor to install the new flat roof. Inspection Cost – Inspection of flat roofs should be done at least twice a year, once in summer and winter. Inspection is necessary to timely do minor repairs, check drainage problems, detect leaks and save money in the long-run. Inspection fees may vary depending on the flat roof specifications and per provider of the service. Annual Roofing Maintenance – Per study conducted by the National Group of Commercial Roofing Contractors for a 10,000 square foot roof, annual roofing maintenance is $2,500 for commercial roofing with reactive maintenance while $1,400 for one with active maintenance. The National Roofing Contractors Association has a Find a Contractor facility which you can access. You can also ask for referrals. Testimonials from past clients will also help you make a decision. Know what type of flat roofing will work best with your building. For instance, you may choose Built-Up Roofing (BUR). The life expectancy of the flat roof is expected to be from 10 to 12 years. In essence, get the best value for the budget you have so that your flat roofing will last a good numbers of years. Make sure that the contractor you choose has a roofing license, is insured, and can provide roofing warranties. 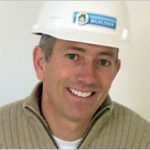 Find a local contractor with a good reputation and many years of experience. 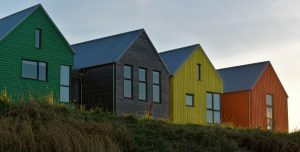 Roof installation codes may differ from locality to locality. Thus, a local licensed contractor is your best choice. Read and re-read the contract before signing and make sure that all needed provisions are included. Be careful that additional fees not stated in the contract may be billed to you. In short, know what you need and make sure you get your money’s worth. Materials – Modern flat roofing materials can either be bitumen, PVC, BUR, EPDM or rubber roof, or fiberglass Each type of material has a different cost and longevity. PVC flat roofing is the most expensive and usually has a lifetime warranty. Size of the Roof – The larger the roof that must be replaced, the higher the expenses. Type of Flat Roof – The flat roof can either be single-ply or built-up bituminous. It is more expensive to replace the latter type of roofing. 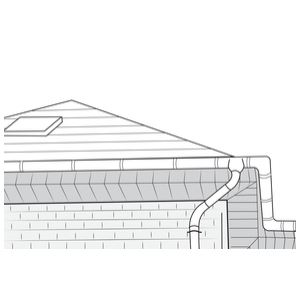 Roof Access – The ease or difficulty of access to the roof will spell the difference in replacement cost. Wind Loads and Fastenings – Certain localities have weather and local codes that dictate the type of wind loads and fasteners the roof requires. It affects the cost of the flat roof replacement. Other Structures in the Roof – If other structures are protruding in the flat root, it will entail additional costs because it would mean additional work. Code Requirements – Codes from local, regional and state authorities will also dictate the requirements of the flat roof and its replacement. Materials Underneath the Roof – What materials are underneath the roof as well as their condition will have an impact on future flat roof repair costs. Location – Certain localities charge more to get the necessary permits for the replacement of the roof. Also, another factor is when the conditions of the locality make it harder for workers to replace the roof such as when it is too windy or any other harsh climate conditions. 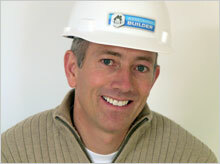 Contractor – Experienced roofing contractors may charge more because of their expertise in the field. Warranties – There are two kinds of warranties involved in this type of project, workmanship warranty and limited material warranty. A factor in pricing the services is If both are offered and for how long will. Before you go any further in the project, assess with your roofing contractor, if what is needed is a repair or a replacement. Though this you will know if your contractor has your best interest in mind or theirs. A flat roof that has been properly designed and effectively maintained will last a long time. If what is needed is repairs, then you just have to pay for flat roof repair, which is not as considerable as the replacement cost. You can also install accessories to the flat roof. An installed Tubular Skylight, for instance, can illuminate up to 150 square feet with the equivalent power of 300 watts. It comes with a 25-year product warranty. The product is available on Amazon. How Much Do IKO Roof Shingles Cost?